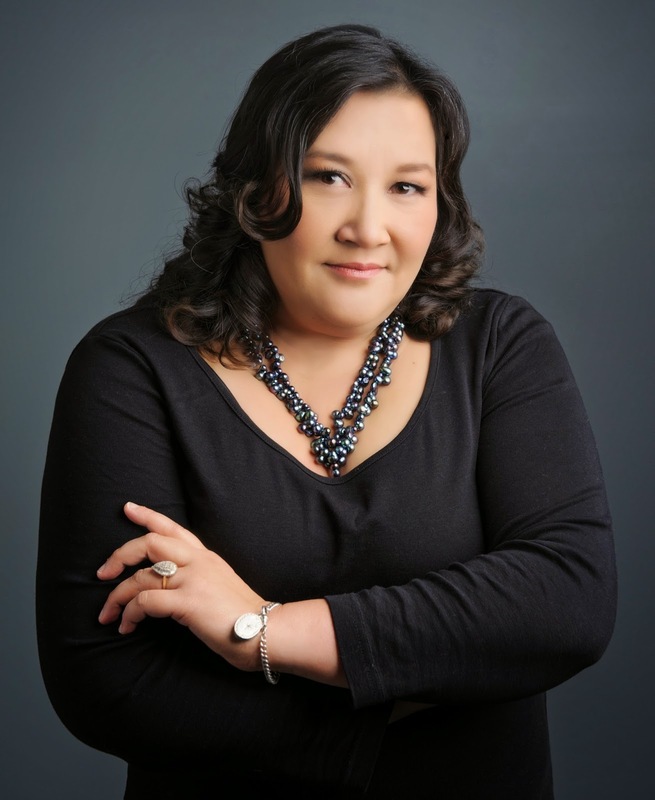 Hi Catherine and welcome back for Part 3 of Self-Publishing: Is it For You? This time we’re discussing the hot topic of Marketing. Marilyn: What steps have you taken to make your Cooper and Quinn novels, 'Dark Heart' and 'Dark Past', ‘discoverable’? How do you intend to market 'Dark Past'? 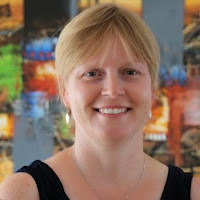 Catherine: At this stage I’m still in the product creation phase of my self-publishing journey, so I’m more focused on getting a few more books out than on discoverability and marketing. But having said that, there are a few things I have on my list to do this year. As far as social media goes I’ve enjoyed figuring out Twitter, and I’m going to make an effort to engage more with people on that platform. I prefer Twitter to Facebook, where rules keep changing and confusing me. A lot. I’ve promised myself to get involved on Goodreads this year. I’ve dabbled there, but never really engaged. 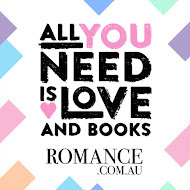 As a reader, I think the idea of a forum to discuss and discover books is great, and I want to get on there and meet people who like the kind of books I like to read and write. Now that I’ve established my blog I’d like to post more often; I enjoy having a place where I can say what I think about whatever I like. I don’t think blogging is necessarily a good way to be discovered, but I do think it’s a great place to let the people who do discover you find out a bit more about who you are and what interests you. How do I market my book? Where do I find readers? These are the questions all authors are asking but there are no easy answers. Well, there is one answer, but it’s not easy: word of mouth. Word of mouth sells books. The internet and social media have made it a lot easier for word of mouth to travel now, but you still have to find people who like what you do enough to tell other people about your books. I’ve read a ton of information, listened to podcasts, attended writers’ conferences, and chatted on social media, all about how to get eyes on your books, and what it comes down to is for someone who’s read your books to recommend them to someone who hasn’t. Reviews and recommendations sell books. Constantly tweeting or talking about your own books yourself doesn’t. The best advice I could give, and the thing I want to do more of myself, is to engage with other people. Other writers, other readers, other social media users. It takes time, and it takes commitment, but it is so rewarding. Much better than blasting people with ‘buy my book’ tweets or status updates that everyone got sick of years ago. There’s no sure-fire method for getting thousands or millions of people to buy your book. 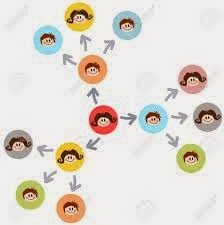 But if you take the time to engage with others and live up to the social part of social media, then it will happen. One reader at a time, which is good enough for me. 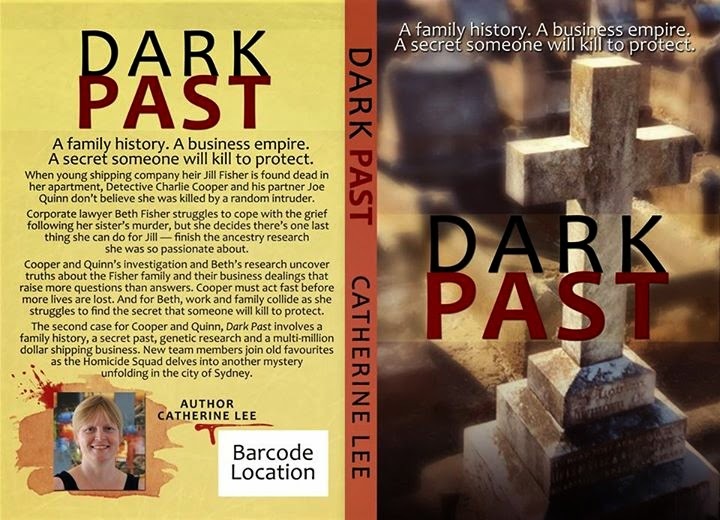 Marilyn: Thanks so much for this insight into your self-publishing journey, Catherine, and good luck with your next book, 'Dark Web'. 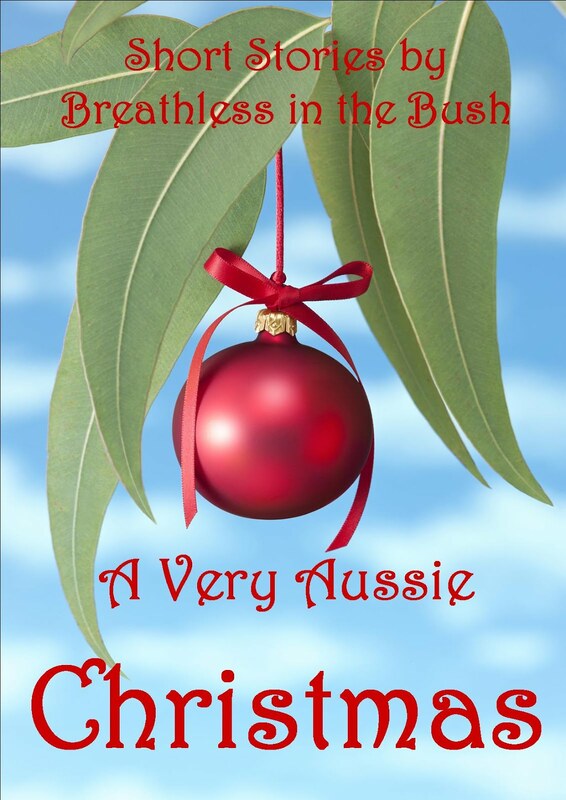 Do you have a question for Catherine regarding her self-publishing journey? She'd love to hear from you and is happy to respond to all questions and comments. Love to Love: binge-watching TV. Netflix, Stan and Promo are all fantastic additions to our TV landscape. Love to Laugh: at the 4-year-old I look after. Kids are hilarious. Love to Learn: as much as I can take in about self-publishing from blogs, podcasts and books. Our own Karen M Davis, together with authors Jenn J McLeod and Tricia Stringer, is taking part in The Australian Voices in Print Tour, beginning May 24th and travelling through 11 NSW towns. Click on the link to find out when they'll be in a town near you. 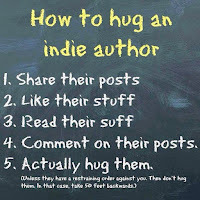 Speak to any published/self-published author and they will tell you how important reviews are. I've lost count of the number of times people have said they would love to post a review of a book but are not sure how to do it, don't know what to write, or think it is only for professional review bloggers. Reviews are not for authors, they are for readers. 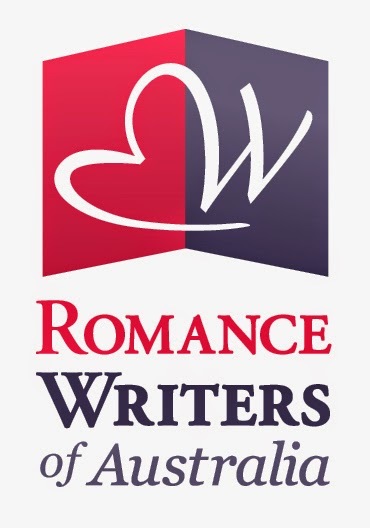 They help readers determine whether any author might be worth their $2.99 investment. 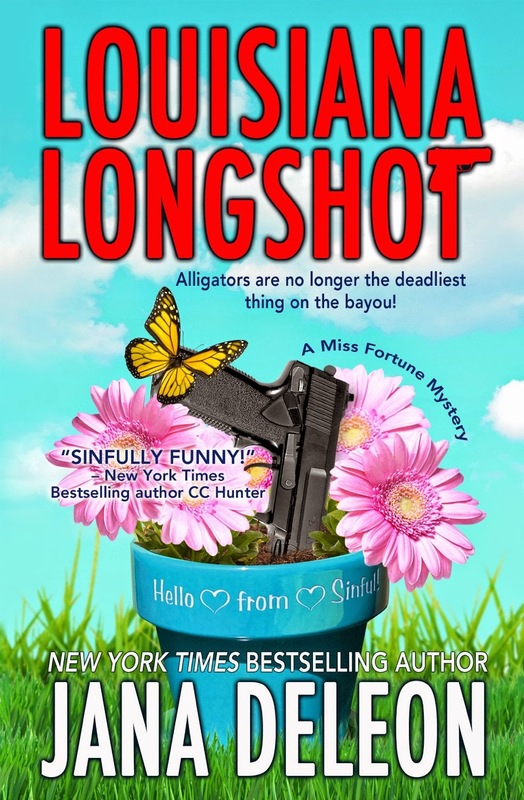 A review can determine whether someone picks an author's book or skims on by. 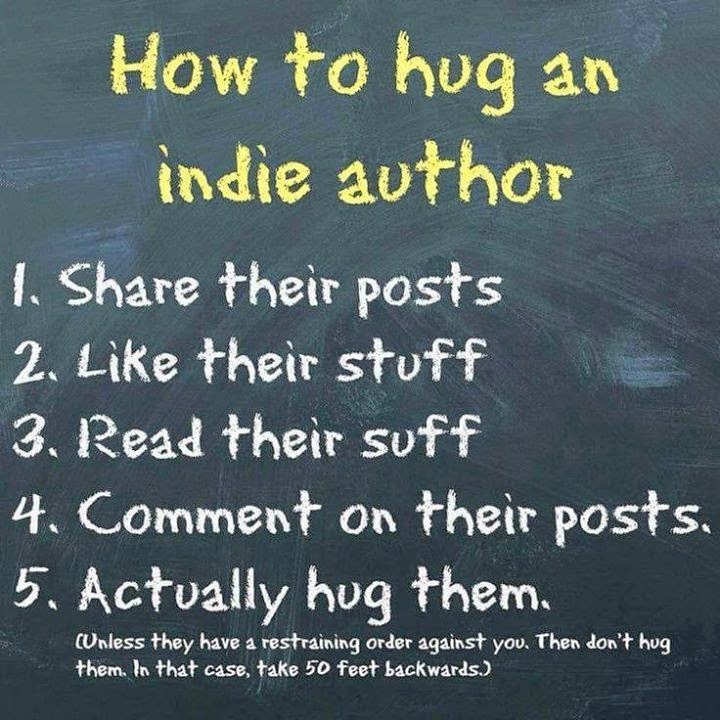 With over 5 million books on Amazon it can be hard for a reader to find their next favourite author. Reviews on other platforms like Goodreads can be very helpful. If you are a reader (and let's face it, most of us are) and you are unsure about leaving a review let me put you at ease. When you buy a book from Amazon, they kindly give you a few weeks before sending you an email asking how you liked the book. Here is your opportunity to let other readers in on your thoughts. The only real requirement is that you be over 13 years of age to do a review. You should be honest and respectful in your review and explain why you liked or disliked the book. You don’t have to do a summary of the book like professional reviewers do but rather just say in your own words why you enjoyed reading the book. 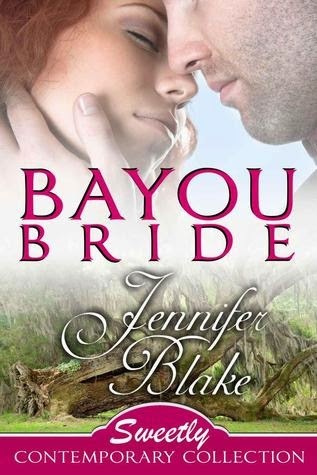 Was it the characters, the setting, the time period, the intriguing plot? Was the book free of errors? Did you enjoy the writer’s style, humour or emotional punch? Did it make you laugh or cry? Amazon to some extent tries to help by providing these three buttons. You don’t have to use the buttons if you don’t want to. To get the stars, simply highlight the desired amount with your mouse. Then all you have to do is write about the book, trying not to include spoilers. It doesn't have to be an essay, as long as you think it might help another reader. And that is it. You can also go to the Amazon site and do the same thing from there if you like. Amazon keeps an account of all the books you have bought. When you hover over the stars it helps you to determine how many stars you want to give the book. Of course a review with comments is more helpful for fellow readers than a starred review on its own. The same applies here in regards to being honest but not nasty. If you truly do not like a book by all means say why. Perhaps you didn't like a certain character in the book or the fact that it was filled with errors which kept pulling you out of the story. However, if there were any redeeming features in the book it is nice to balance a 'not so nice' review with something positive. Perhaps it had some humorous moments, or a battle scene that was exciting to read. Here you can see that my book 'A Scandalous Wager' has 14 ratings and 7 reviews. 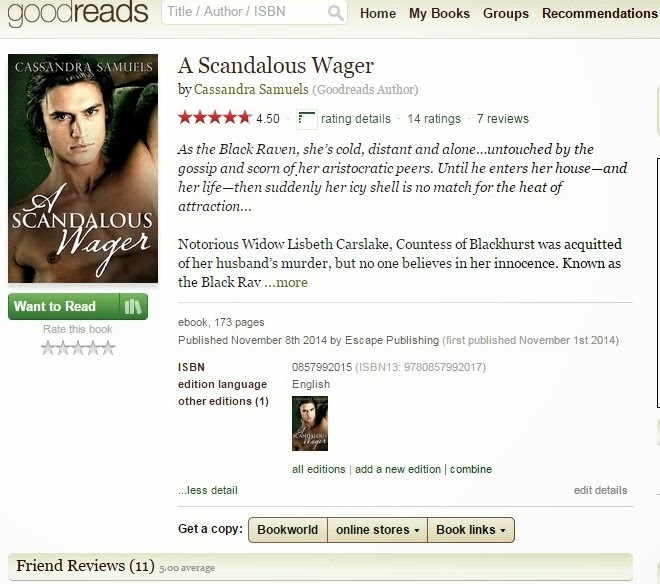 Goodreads at a glance gives you an average rating for your book. You can see under the cover picture that you have the opportunity to hover over the stars and give any book on your list a rating. Or let the author know you want to read it by adding it to your virtual shelf by clicking on the green button below the picture. And that my dear readers is all there is to writing a review! Remember, reviews are for you--the reader, but readers have to leave them in order to be able to use them! Have you hesitated over leaving a review on a book? Tell us why. Did this blog post help you to feel more encouraged to leave a review? I love to laugh at this video of dogs failing at being dogs. 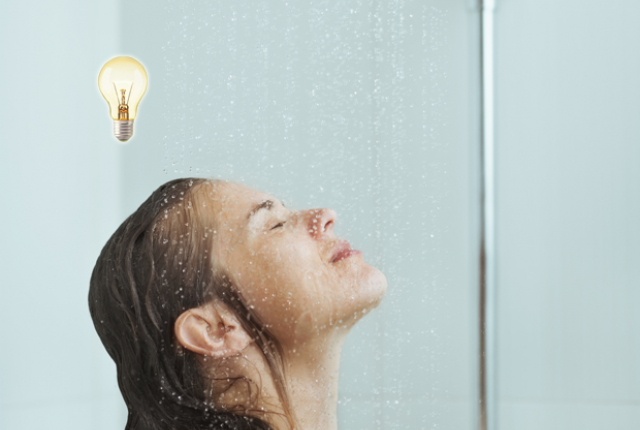 I love to love solving a story problem in the shower. 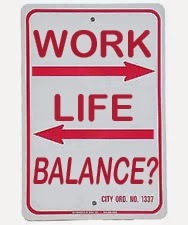 Love to learn that I am not the only one who struggles with work life balance. Isn't this cool weather wonderful? The perfect chance to stock up on books as the days get shorter, my darlings. And I do hope you Mums got spoilt on Mother's Day yesterday with a little chocolate or a lovely new dressing gown and slippers, or some delicious new books! Forget the vacuum cleaners and kitchen stuff (those ads are written by men), I always hint for books, books, books! 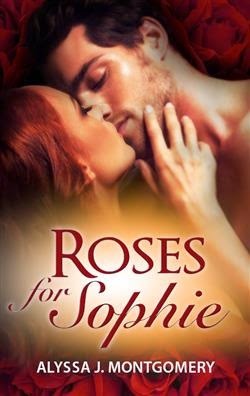 Roses for Sophie by Alyssa J Montgomery. Alyssa is a personal friend of mine - yes, lucky me - and a simply wonderful writer. I've always been her biggest fan. 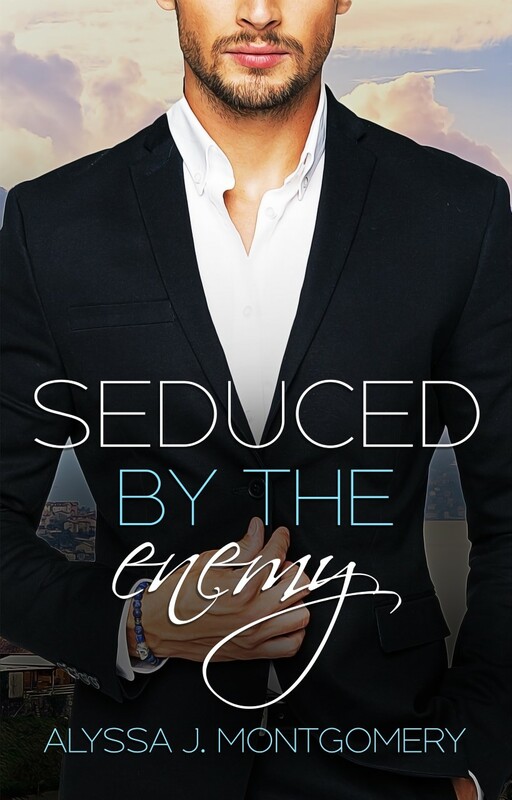 In this book two powerful people come together: Logan, a billionaire diamond miner, and mining heiress Sophie (the premise might seem a bit gasp-worthy but it totally works, trust me...). Both need to marry, fast, for two very different reasons. Oh, the angst. Oh, the emotional trauma. Oh, the hot hot steamy hot hot romance! Whew! No sweet get together, this couple explode off the page. The roses of the title are a lovely touch: Logan brings Sophie bunches of roses (the meaning of the different coloured roses is beautifully explained) - but she's waiting for the bunch of red roses, the ones that signify true love... Will she get them?! IMHO, the wait is so worth it... What's your favourite flower? Have you ever received a loving bunch from that Someone Special in your life? Oh, I do hope so. And pssst, if you loved this gorgeous book as much as I did, also try Echoes of the Heart. 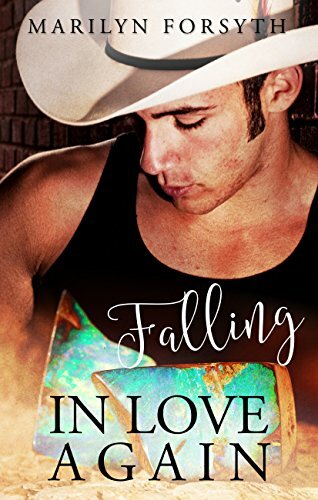 Anything by Alyssa is totally worth the emotional ride! You may laugh at me, actually, but certainly not at this next book!... Sometimes we get a wee bit stuck in our ways, hmm? Yes, shockingly, c'est moi. I admit it. It takes a book just a tad out of my comfort zone (maybe with a ghostie and everything) to make me realise that, hey, I need to broaden my reading horizons - and in doing so, find reading treasure. Young Adult books are totally exploding at the moment, and if you think they're just for YA's, think again! 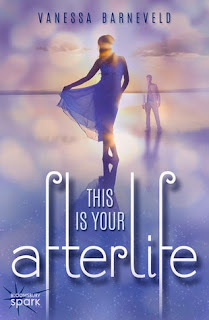 This Is Your Afterlife by Vanessa Barneveld hits all the right buttons. Well written, thought-provoking, with a fabulous teen romance (and the ghost) to sweeten the deal. Give it a go, and let me know what you think? I think you'll be pleasurably surprised. Go for it. That I love to read romances about places I've been. My last holiday was to the Deep South in the US and I've been loading up my Kindle. These tempting goodies are on my reading list right now, and I can't wait to read them! Ever had your heart broken or done something so embarrassing you wished that the ground would open up and swallow you whole? Have you been in love or ridiculed or a bit naughty? What about facing a fear, finally achieving something you’ve worked hard towards or falling for the wrong guy... twice? If the answer is ‘yes’ to one or more of these questions (or all of them in my case but we just won’t go there) – use it in your writing. We’ve all been told to write what you know and when I first started writing I thought I knew what that meant; but I was wrong. I thought it was all about the research, places, time period and facts. If I had the facts, the plot and the characters developing throughout the story and jumping through all their particular hoops, then everything was perfect – wasn’t it? And the short answer was – no, it wasn’t because the essence was missing. My hero and heroine were flat because I just wasn’t feeling it and that was the problem. Write what you know means so much more. Yes, we need the research and the facts but you also have to incorporate – well, you. Sure, we have shared experiences like falling in love, facing grief or trying to step up during a crisis. But the way you deal or feel about them is unique to you. What I mean is not everyone reacts the same way. 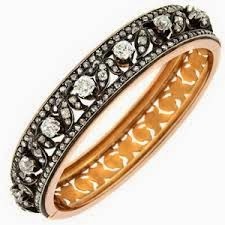 For example at a funeral some people are shattered, others silent and unbending, some laugh nervously while another may make lame jokes at inappropriate times. This doesn’t mean they aren’t grieving, they’re just handling it in their own way (that is all except for Uncle Bob who’s just a jerk). You have to do more than just write the story, you have to feel it. However it’s not just having empathy for your characters; it’s sharing with them your authentic feelings. Is this wrapped up in ‘your voice’? Um... I guess it kind of is. So when writing a scene, remember to draw on a similar situation or feeling that you’ve experienced. Maybe none of us have ever fought a duel at dawn or faced down an enemy with sword in hand, but at one time or another we’ve been scared, desperate, forced into something we didn’t want to do or sacrificed something for another person (or maybe even taken the odd fencing lesson). Mix the experience, physical reaction and the research and your story instantly gains depth. 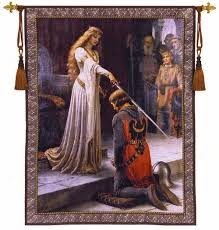 We create and manipulate our characters to tell the story from our heart so don’t sell it short. We want our readers to connect with our characters but firstly we must connect with them ourselves. Remember how it feels to be crazy in love, jealous, betrayed, or how you felt when you kissed for the first time, and then give your characters that little bit of yourself. Tell us how you've used 'what you know' in your writing or how you imagine the writer used what they know in a book and you will go into a draw to win a signed copy of McKellan's Run by Nicole Hurley-Moore!!! Love to Laugh – At my family’s odd sense of humour and their quest to get me to laugh at the worst possible time. Love to Learn – Anything I can on medieval history. 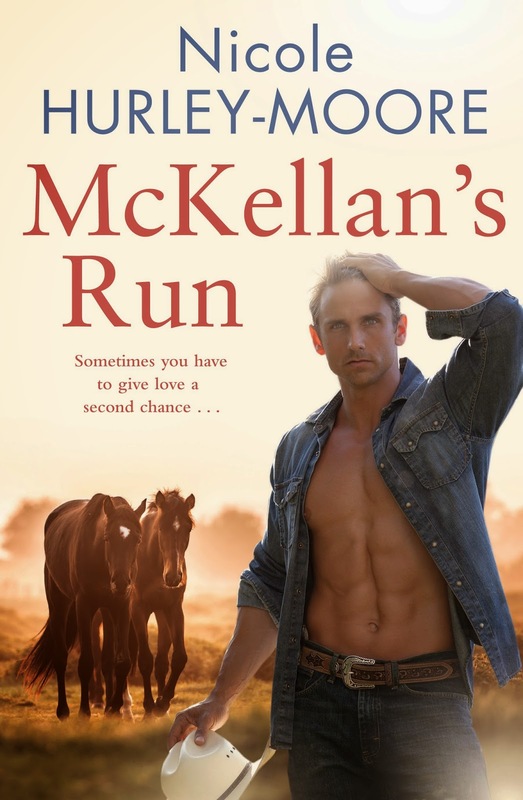 McKellan's Run available now! Published by Allen and Unwin. Visit Nicole's website for more at: www.nicolehurley-moore.com.